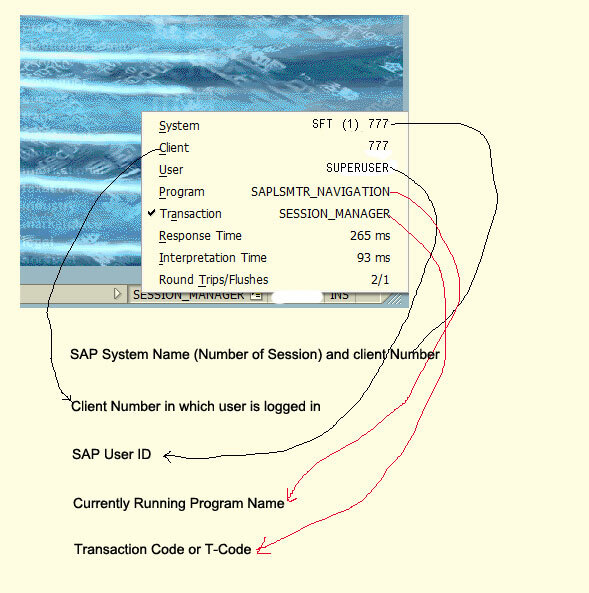 On this page I will show you the Status Bar of a SAP Screen and explain about various things on the status bar. 3. It tells you whether you are in INSERT mode or OVERWRITE MODE.